Malva (Malva sylvestris), also known as the mallow plant, is a perennial or biennial plant from the Malvaceae genus, a family of plants that includes hibiscus and okra. These opportunistic flowering plants were once native to North Africa and the eastern Mediterranean, but are now naturalized in several corners of the globe. Their resilience and ability to grow on most soils have caused them to be viewed as a weed by some. Despite this, malva has been recognized as a useful medicinal plant. Malva is loaded with highly beneficial antioxidant compounds that include flavonoids, phenols, tocopherols, and carotenoids. Together, they imbue malva with a score of helpful medical properties that have made it a choice ingredient among practitioners of herbal medicine. A common and popular use of malva is as a topical application for the reduction of inflammation and swelling. Essential oils derived from malva can be used to soothe painful joints and aches. This is thanks largely to the plant’s rich vitamin content and analgesic quality. Malva has anti-inflammatory, antibacterial, and astringent properties that make it effective as an herbal treatment for insect bites and wounds. 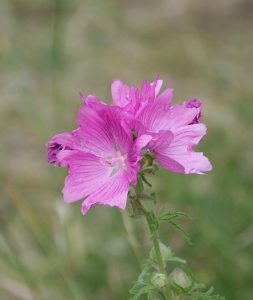 The high mucilage content of malva makes it ideal in the treatment of respiratory problems: the mucus can serve as a protective and healing coating on inflamed respiratory tissue. One other way malva aids against respiratory problems lies in its ability to increase expectoration. Those suffering from digestive issues can steep malva seeds or dried leaves to create a mild laxative beverage. Due to this, however, too much malva can cause diarrhea, so keep this in mind when ingesting this plant. In addition to providing relief to the respiratory system, including the lungs, malva is known to be effective in remedying the inflammation of the urinary and digestive systems too, including the stomach. The beta-sitosterol content in malva is believed to enhance the ability of white blood cells in eliminating pathogens. In turn, this makes malva good for one’s immune system. Furthermore, malva can prevent bacterial infections. Malva is an edible plant that can be consumed in a number of ways. For one, malva can serve as a substitute for spinach in such dishes as gnocchi and quiche. For another, malva seed pods can be used as substitutes in recipes calling for egg whites. Though perhaps the simplest way to take malva is as a tea or as a smoothie. For this, opt for young and tender malva shoots, as older malva leaves have a tough and fibrous texture. This can be easily fixed by adding sweet fruits into the smoothie. Malva is a plant loaded with health-promoting nutritional and medicinal compounds. This soothing plant has demulcent and anti-inflammatory qualities that relieve irritation and promote healing.